The city of Venice has been around for a long time. It is built on 100 small islands and served as a very important port for trade and commerce. Venice boast of beautiful squares, many of which had existed for a very long time. Here are the 10 most beautiful squares in the city. One of the most beautiful and renowned squares in the world. 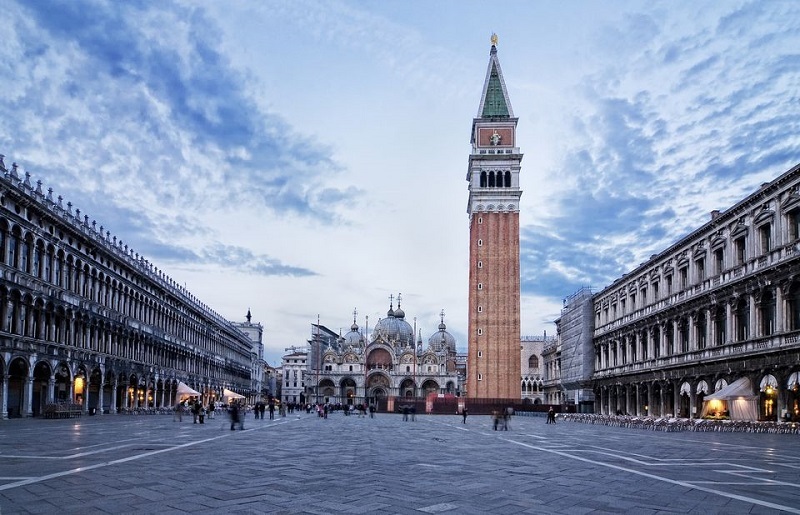 Piazza San Marco is reputable for its beauty, architectural integrity, and importance to Venetian history. It functions as a social, religious, and political center for a long time. Click the next ARROW to see the next photo!